Mornin’, y’all! Happy Hawwmp Day!! I hope you had fun with the 30th Birthday sale yesterday. It was a good ‘un, huh? My Ordering Bonus is still going on – so there’s time to gather up some supplies to help with the upcoming Holiday season! Read on down for the all the details and get in on it before it goes away on the 28th! Good morning, y’all! I hope your week is going well and that you’re stocking up with the World Card Making Day special savings! And…are checking out the Stamp-N-Storage special also going on. Stampin’ Up! Making Every Day Bright for Halloween! Hey guys – Happy Tuesday! Hope y’all took advantage of the new goodies in the Clearance Rack – not least of which is a short-supply of Fast Fuse Adhesive (and refills!). If you did NOT – I suggest you head over and take a look-see at the new items before your faves are gone! Here’s a handy-dandy link. So – you guys probably know me by my Stampin’ Up! name: the Queen of Clean. CAS is SO not my thing! TODAY – it’s my thang. Okay – to be fair, to make this you’ll also need a sentiment stamp set – I picked Itty Bitty Greetings! This one is quick so…buckle-up, Buttercup! I started with a panel of Whisper White card stock and, in Tuxedo Black Memento Ink, stamped the “cord” image from Making Every Day Bright twice. I pulled out my Mango Melody and Pumpkin Pie ink pads and stamped the solid lightbulb image in alternating colors. I also stamped a Mango Melody bulb on a separate piece of Whisper White. Going back for my Tuxedo Black, I stamped the sweetly-spooky little spider and web on that Mango Melody bulb and cut it out with the Christmas Bulb Builder Punch. Also with the Christmas Bulb Builder Punch, I cut out “bulb tops” from some Black Foil, which I stuck onto the top of each bulb with little dabs of Liquid Glue. I trimmed the excess off the edges and matted the panel on Mango Melody. I popped my spider-stamped bulb on top to the “cord” with a Stampin’ Dimensional. Then I tied a bow from the Black 3/8″ Glittered Organdy Ribbon and adhered it to the top of my spider-bulb with a Glue Dot. I stamped the Itty Bitty Greetings sentiment in Tuxedo Black Memento Ink, added a clear Epoxy Droplet and the card front was done! On the inside, I added a little more of the Making Every Day Bright light strand across a Whisper White panel. I used Liquid Glue to mat the panel on Mango Melody and then into my Basic Black card base, popped the card front on with Stampin’ Dimensionals and the card was done! Et Voila! I TOLD you it was quick and easy. And even I – the so-not-the-Queen-of-Clean, love this card! The simple color scheme is very appealing, don’t you think? I love this Making Every Day Bright stamp set – it’s got so many possibilities! I hope you like! Hope you had a great weekend and are ready for the week. If you were able to join me last night for my FB live video – thanks for spending part of your weekend with me! We had a good time, I think! If you weren’t able to be with us, but would like to see how to make today’s Fun Fold, here’s the link to the Memorex version on YouTube! The Peekaboo fun fold is kind of all over Pinterest and YouTube right now – lots of videos to watch. Which I did! And then I made my own! I’ve actually made two now, both with the new Cauldron Bubble stamp set and some fun DSP from the Toil & Trouble DSP in the 2018 Holiday Catalog. Take a look-see. This is the one I gave you the sneak peek of yesterday morning – all Black and Highland Heather and Smoky Slate! Then I changed up the DSP and the color scheme in the video. For both of them – I did some tone-on-tone stamping on the front with the cat or ghost image from Cauldron Bubble – Pumpkin Pie on Pumpkin Pie or Highland Heather on Highland Heather! This kind of card is a lot easier to ‘splain in a video (which I do!) – so I’ll just share a few more pictures – and the card cuts are all down below! I used the new and oh-so-cool Black 5/8″ Glittered Organdy Ribbon and some Black Foil on both cards, as well as the adorable (and not even a little bit scary!) Spider Trinkets! …as is the technique to make the mechanism work! …and I added the matching Toil & Trouble DSP to the envelope flaps! Et Voila! So – this is SUCH a fun card – with a surprise for your recipient when they open it up! And – since it’s really pretty easy to make – you NEED to do one for yourself! The video shows you how to “make the cake” – and I’ve used Halloween themed images from Cauldron Bubble and the Toil & Trouble DSP to “decorate the cake”. But – you can make your cake and decorate it however you like – Thanksgiving! Christmas! Just-cuz-it’s Tuesday!! Have fun with it. Hope you like! 2018 Holiday Catalog Special Bundles are Available Now! 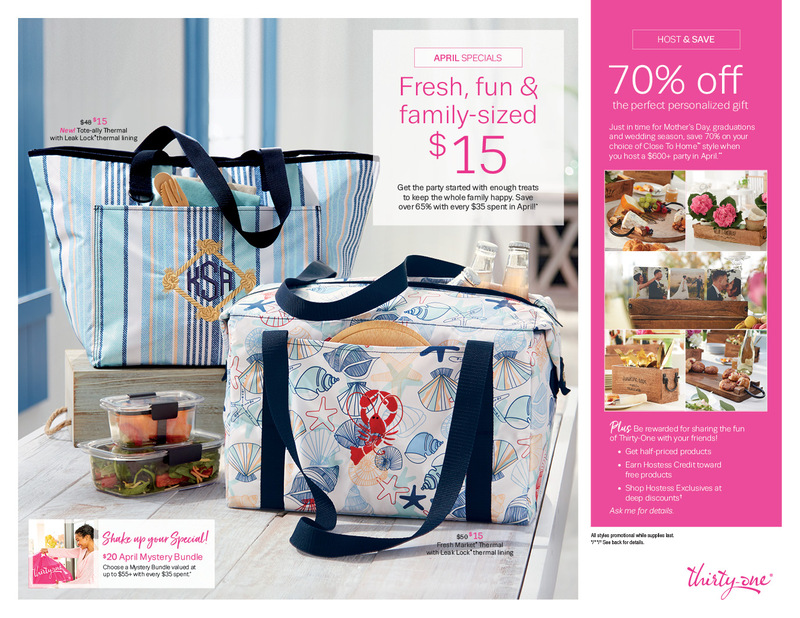 I’ve put together some special money-saving bundles for you from this awesome and wonderful catalog! You’ll get a bunch of goodies, shipped directly to you! And you’re going to save a pretty penny, too! Today is the LAST DAY to Get Signed Up and get the Spooky Fun September Halloween-Themed Kit! We cut and chopped shares this weekend! The men in my life (well…two of the four men in my life!) dealt with the work quite…differently. Guess which one is going to Greece with me next year?!? Happy Thursday, y’all – and welcome to another Happy Inkin’ Thursday Blog Hop!! Today’s a sketch challenge – and I suspect you’re going to see a lot of 2018 Holiday Catalog sneak peeks. So…I hope you’ll check out everyone’s projects when you’re done here! I started with some Granny Apple Green (is this not just the BEST green!?!) paper from the new Toil & Trouble DSP, matted on Basci Black for the card front. Then I took a smaller panel of Basic Black and cut the edge with the wonderful Delicate Lace Edgelits. I cut a smaller piece of Whisper White and, in Tuxedo Black Memento Ink, stamped the so-cute elephant from the Trick or Tweet set. And she needed to be holding a jack-o-lantern snack bucket, too. So I added that as well! I pulled out the Spooky Sweets stamp set (also in the new Holiday Catalog – coming live to you next week!) and added some spooky Granny Apple Green “mist” with the splatter stamp. I inked the stamp and stamped-if-off-once before I stamped the panel each time. Then I used Liquid Glue to adhere it to the die cut Basic Black panel and popped it onto the card front with Stampin’ Dimensionals. The sentiment, from Trick or Tweet, is stamped in Tuxedo Black on Granny Apple Green card stock and punched with the Classic Label Punch. It’s adhered with Liquid Glue. I used my Bow Easy to tie a double-loop bow from the new Black 3/8″ Glittered Organdy Ribbon and adhered it with a Glue Dot. Then I colored some Pearl Basic Jewels with my Dark Pumpkin Pie Stampin’ Blend and added them to finish off the card front! On the inside, I added a second sentiment – this one from the Spooky Sweets set – in Tuxedo Black to a Whisper White panel. Around the edges, I added stamped-off-once “mist” in Granny Apple Green. Then I added some full-strength “mist”, too. I used Liquid Glue to adhere the panel to a Basic Black mat and into my Pumpkin Pie card base, popped the card front on with Stampin’ Dimensionals and the card was done! …and on the back, I added a veritable miasma of mist – and some more of the Toil & Trouble DSP to the envelope flap. Et Voila! Look at that face! Pretty hard to be too awfully scared of her – or any of her friends in the Trick or Tweet stamp set, isn’t it? And the Spooky Sweets bundle – with it’s scary Spooky Bats Punch – is a lot of fun, too! I hope you like! Still Time To Earn Bonus Days Coupons! Mornin’, y’all! I’ve got two projects to share with you today! This one is for the Stamp Ink Paper challenge this week! Come back in an hour or so and check out my card for the Amy’s Inkin’ Krew Blog Hop! I started with a fun design from the Spooky Night DSP and matted it on a piece of Lemon Lime Twist card stock for the card front. I cut a Foil Snowflake in half (-ish!) and adhered it with Liquid Glue – with the Very Vanilla side up. Then I wrapped a length of Basic Black 3/8″ Shimmer Ribbon around it, securing it in the back with scotch tape. Next I cut a large Stitched Shapes Framelits die circle from Very Vanilla and a Lemon Lime Twist scalloped mat using the Circles Layering Framelits. Using Tuxedo Black Memento Ink, I stamped the little three-beaker image from the Spooky Cat stamp set three times across the bottom of the Stitched Shapes circle. Then I stamped the “liquid” and bubbles into each beaker. I used Lemon Lime Twist, Pumpkin Pie and Peekaboo Peach inks. Then I added the sentiment in Pumpkin Pie. I adhered the sentiment circle to its mat with Liquid Glue and then adhered it to the card front with a little more Glue. On a piece of scrap Very Vanilla card stock, I stamped the sentiment-filled cat image from Spooky Cat in Tuxedo Black ink and punched it out with the matching Cat Punch. I used my Lemon Lime Twist Stampin’ Write Marker to edge the shape and then popped him on with Stampin’ Dimensionals. One large Black Rhinestone Jewel finished off the card front! On the inside, I stamped the Spooky Cat witch’s hat in Tuxedo Black ink and colored the buckle with my Lemon Lime Twist Marker. I also added another Black Rhinestone Jewel. Who says you can’t have a jewel inside the card??! I Fast Fuse’d the panel to a Lemon Lime Twist mat and into my Basic Black card base, popped the card front on with Stampin’ Dimensionals, and the card was done! …and a touch more of the Spooky Night DSP on the envelope flap. Et Voila! A mad scientist Halloween cat?!? It could happen! This Spooky Cat bundle – with the Cat Punch – is so cute and fun. Nothing scary about it, really! Hope you like! Stampin’ Up! Pumpkin Cat-oween for the Amy’s Inkin’ Krew Team Blog Hop! Good mornin’, y’all – welcome to another edition of Amy’s Inkin’ Knew team blog hop! Each month we make projects centered around a theme – and this month is Halloween! We can interpret that any way we want – so…be sure to check and see who went spooky and who went nice, okay? I played along with a couple of sketches on this one. My layout comes from the folks at the TGIF Challenge. I started with a piece of paper from the Painted Autumn DSP and Fast Fuse’d it to a Night of Navy mat. Then I cut a Delicate White Doily in half and adhered it to the card front with Liquid Glue – leaving space between the halves so the doilies would peek out from my center panel. Next up, I cut the little cross-shapes out of the corner of a piece of Very Vanilla card stock, using the die in the Patterned Pumpkins Thinlits. To make my background, I used some Cajun Craze and Pumpkin Pie inks to stamp the leaves images from the Pick a Pumpkin stamp set, and added the sentiment from Spooky Cat in Night of Navy. The little speckles and splotches around the sentiment are actually the bubbles rising from the Spooky Cat beakers – stamped in Soft Sky! Then I Fast Fuse’d it onto a Night of Navy mat and popped it over the doilies with Stampin’ Dimensionals. Now the cat. When I first started making a card for the hop, I thought I wanted to play with the Just Us Girls challenge which asked for Watercolor Block stamping. So I inked up one of my acrylic blocks with Pumpkin Pie ink, spritzed it with water using my Mister, and stamped it down on a piece of Very Vanilla card stock. And then I changed my mind and went another direction. Specifically in the direction of this card! But I had that paper…and I needed a cat. So…out came the Cat Punch and all of a sudden – calico kitty! I added a Night of Navy face with the little stamp in the Spooky Cat stamp set and adhered her to the card front with Liquid Glue. Then is was time for the pumpkins. I cut a large pumpkin in Pumpkin Pie – and adhered it to some Peekaboo Peach card stock then fussy cut the excess – and adhered it with Liquid Glue. I cut a star-strewn Cajun Craze pumpkin and popped it on with Stampin’ Dimensionals. Finally – I stamped a Soft Sky pumpkin on Very Vanilla, added a Jack O’Lantern face in Night of Navy and cut it out with the die in the Patterned Pumpkins Thinlits. He’s added with a Mini Stampin’ Dimensional and a little Liquid Glue – and finished off the card front. On the inside, I added a Pumpkin Pie and Cajun Craze leaf from Pick a Pumpkin on a Very Vanilla panel. Then I added a strip of the Painted Autumn DSP which I’d matted on Night of Navy. I Fast Fuse’d the panel to a Night of Navy mat and into my Thick Very Vanilla card base, popped the card front on with Stampin’ Dimensionals, and the card was done! …and I added another piece of Painted Autumn DSP to the envelope flap. Et Voila! I’m not sure, but…this may be a personal record for me for making Halloween Cards! But – if you’re going to make them, then it makes sense to use uber-cute stamp sets and Thinlits like you’ll find in the Pick A Pumpkin bundle. And don’t even get me started on the Spooky Cat bundle – love love love!! Hope you like! Now that you’ve seen my card, I hope you’ll take a little time to jump thru all the other projects we have to share. Click any name below, or you can use the Previous Blog button to jump to Julie’s page or the Next Blog button to see what Karen’s been doing! Happy Friday, y’all. If you’re in Harvey’s aftermath or bracing for Irma – my thoughts and prayers are with you. My friends in Florida…stay safe! My card today is simple and fast. My day yesterday was complicated and long – so simple and fast was the order of the day. Buckle up, buttercup – this is going to go quick! I started with a Crushed Curry card stock circle cut with the largest die in the Circles Layering Framelits. Then I punched the cat silhouette with the Cat Punch. Using my sponge dauber, I added a little bit of shadowing on my moon with Crushed Curry ink. I used Stampin’ Dimensionals (Mini and Regular) to pop the moon over a Basic Black panel. I matted the card front on a Crushed Curry mat with Fast Fuse, then wrapped some Crushed Curry Solid Baker’s Twine around the panel 3 times, securing it in the back with scotch tape. I used a Glue Dot under the three strands near the left side of the card to draw them together (like they’d been tied together). Over that, I added a bow tied from three strands of the Baker’s Twine. The sentiment, from Spooky Cat, is stamped in Tuxedo Black Memento Ink on a Crushed Curry strip. I snipped banner ends and then popped it on the card front with Mini Stampin’ Dimensionals. Simple doesn’t have to mean no bling at all – so I added a single gold star Metallic Enamel Shape to the corner. And that was it for the card front. On the inside, I used the negative space of my moon circle as a stencil and sponged a “moon” in Crushed Curry on a Whisper White panel. Over that, I added the fun cat image from Spooky Cat. I Fast Fuse’d the panel to a Crushed Curry mat and into my Basic Black card base, popped the card front on with Stampin’ Dimensionals and the card was done. …and I added more cat faces to the envelope flap. Et Voila! I fell in love with this technique the minute I saw it – so it was just a matter of time before I used it on a card of my own. And I kinda love it!! Spooky Cat and the awesome new Cat Punch…Winner winner! I hope you like. I’m just going to share a cute picture of the man. From soon after he came to live with us, he’s liked getting under my chair. Recently he’s started really GETTING UNDER my chair – and adopted the “leg hug”.